Fork offset or rake is the dimension shown. Imagine a line passing through the steerer tube of the fork. 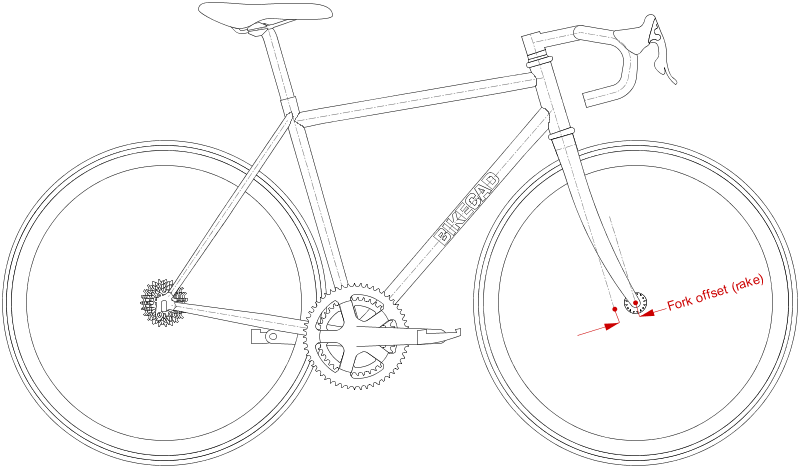 Measure from there to the center of the front hub, and you've got the fork offset.